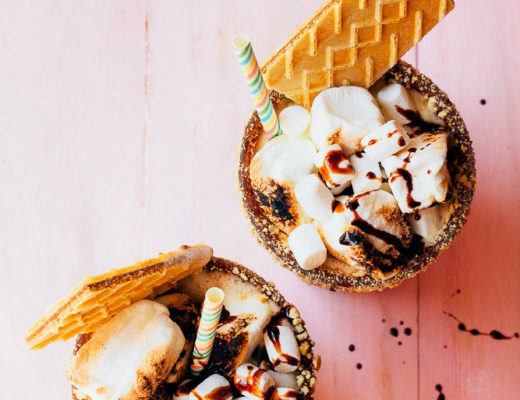 As the weather warms up, we find ourself shifting focus from chocolate and caramel desserts to lighter-flavored sweets. 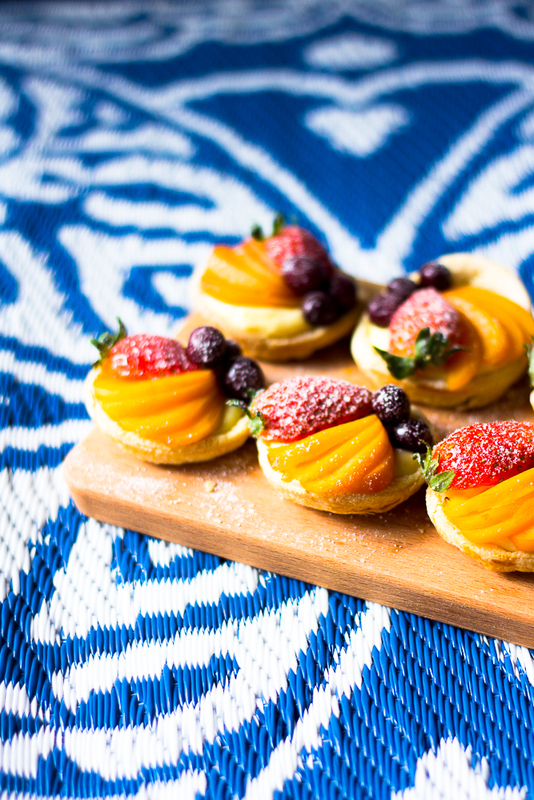 We love fresh berries and these mini fruit tarts really let the juicy fresh fruit shine. 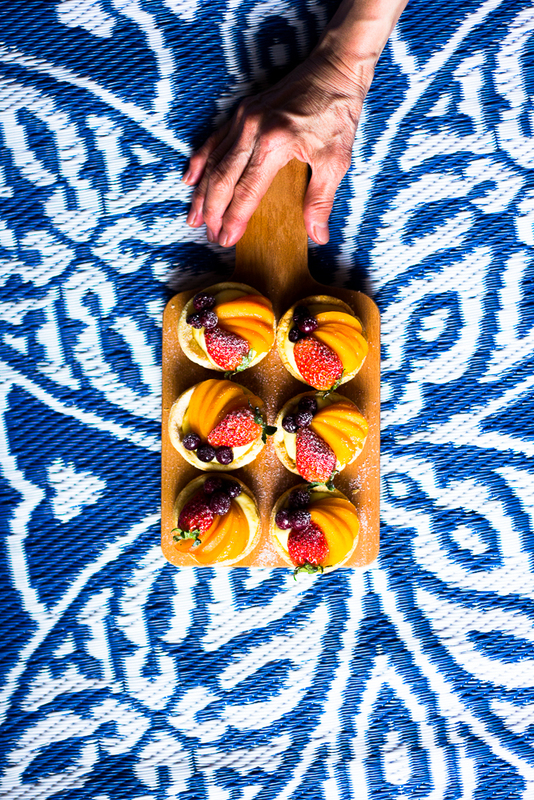 We also love mini desserts this time of year. 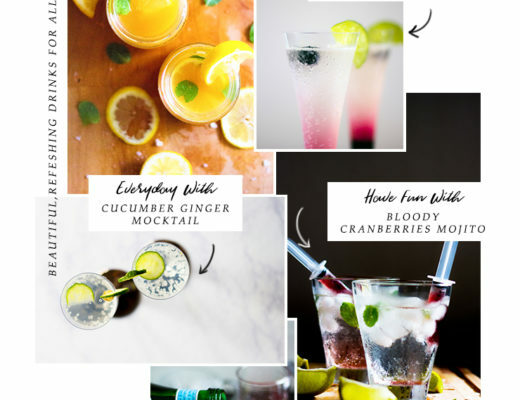 Entertaining tends to take a more casual turn with dinner and drinks on patios and decks, running around outside until dark, and bite-sized desserts seem both fancy and casual to me. You can grab one (or more!) 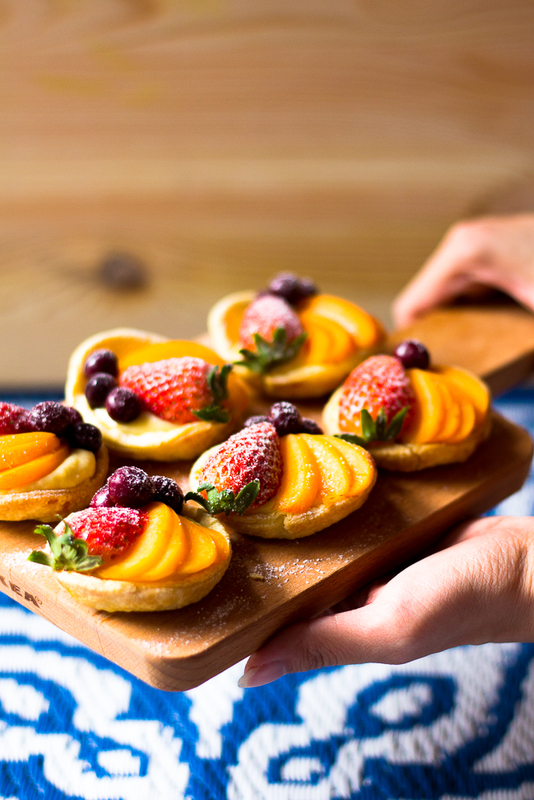 as you’re passing by the dessert platter and there’s just something so pretty about a collection of little tarts piled up on top of each other. These would be great for those end-of-year or graduation parties we all seem to have this time of year. 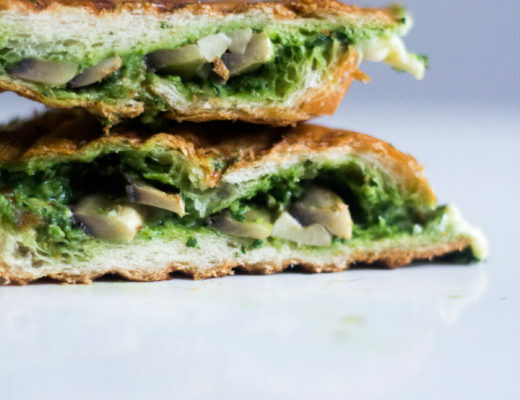 This is also an awesome recipe if you don’t have a lot of time on your hands, mainly because everything can be made ahead of time and assembled in minutes before serving! Tips from the two sister: The dough for the pie crust and pastry cream filling can both be made ahead of time and refrigerated for up to 2 days, so all you have to do is bake and cool the pie crust, pour in your pastry cream filling, arrange the sliced fruit and add a finishing glaze if desired. Place it in the fridge until you are ready to serve and that’s it! This is also an awesome recipe for girls tea time gathering. For those who want to spend more time on makeup and hair. Rather than the preparation of food. Roll the dough flat, cut them out using a cookies cutter. Place them in the tray and press it down. Bake until golden brown, about 15 minutes. Remove from oven and cool in pans 5 minutes. Use a knife to pop out the crust cups and cool completely on a wire rack. Pour the mixture back into the saucepan. Cook over medium-high heat, whisking constantly, until thickened and slowly boiling. Remove from the heat and stir in the butter. Spoon into the cooled crust cups and let sit at room temperature about 20 minutes. Top with fruits and refrigerate until ready to serve.